Welcome back Oombawka Design Readers! I hope you have been enjoying this celebratory month of Giveaways! 1 skein of her scrumptious Triton ‘Luster’ Superwash Merino Tencel Sport Yarn. 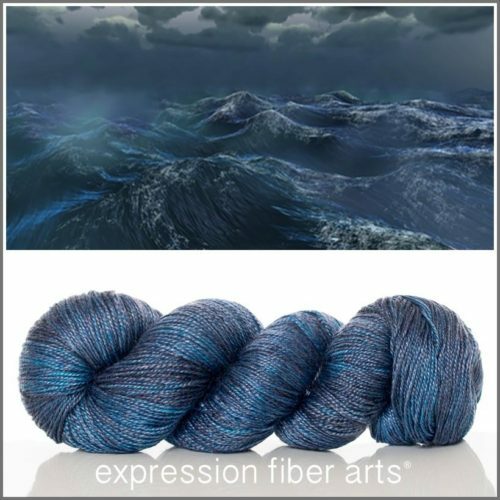 For those of you who are not familiar with Expression Fiber Arts®, here is a little “How Do You Do” so you can get to know Chandi and her beautiful yarns! “Life is too short to waste on people or things you don’t love. If I could pass one thing on to you it would be to instill the courage to live the life of your dreams. I feel this starts with fully and completely falling in love with yourself and knowing you are worthy of all things you desire! I hope you love Chandi and Expression Fiber Arts® as much as I do! She really is an inspiration to me – her positive energy shines through in everything she does and every color palette she shares. You can sign-up for her newsletter HERE, which I recommend – just for the color therapy it gives me! For those of you who would like to hand-pick some yarn for yourselves, Chandi has also provided us with a coupon code (woo hoo!). This will give you 15% off any order of $20+ (USD). Valid for one use only per customer. Please note this is a one time use only per customer coupon – so if you want to buy more yarn add it to your cart now to get the discount! 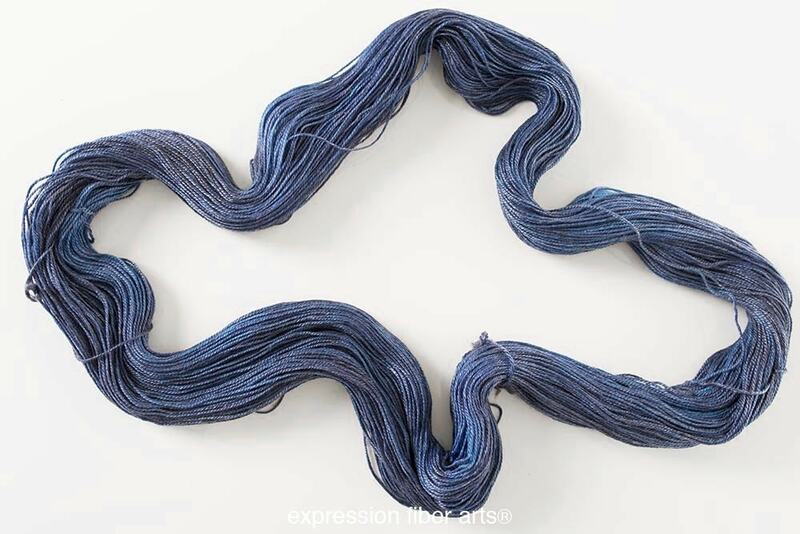 When you visit Expression Fiber Arts® be sure to look to the bottom right-hand corner – if you plan on purchasing some yarn be sure to sign-up for the EFA Insider Rewards! Each purchase you make accumulates toward a discount for a future purchase. 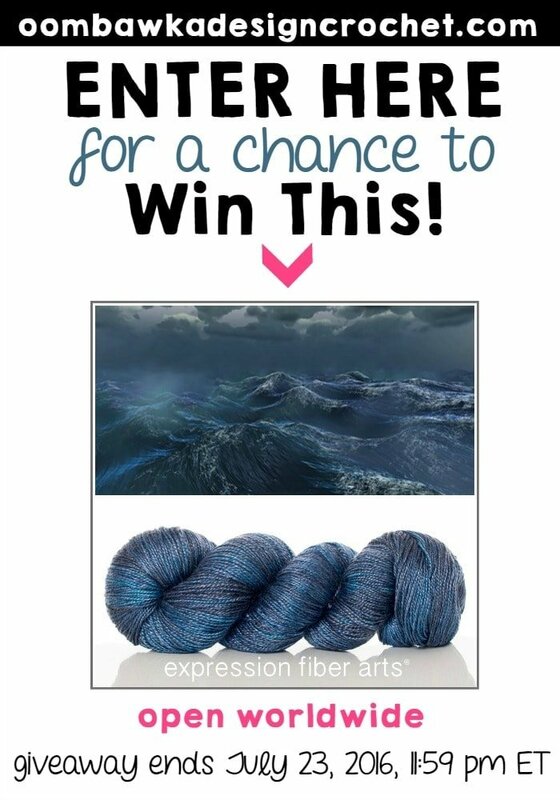 Are you ready to enter for a chance to win this beautiful yarn? Thanks for chance to win lovely giveaway.. Thank you so much for all the work you do for us! I have a blog hut it’s hard enough just to post just a basic once a month update post. Not with any of all the great things you have here! I just love your patterns and can’t wait to get my e-mail to see what’s next. I love the Tencel fabric and I’m delighted to know that the Tencel yarn is available. I’ve got to check this out! I love this yarn. I actually just bought several skeins of this exact color to make a sweater. All of Chandi’s yarn is amazing. Thanks for the giveaway and the coupon code!